Several club-members competed in the Southern Region qualifier for the GB cup last weekend (11th February 2018). The Ladies Epee was combined with the Mens for the poules because there were not sufficient entries to run it as an individual competition. Anne finished second after a final where she adapted her fencing to counter her experienced opponent but wasn’t quite able to capitalize. The Mens foil medal table was dominated by Oxford fencers, with Mark (3rd), Martin (2nd) and Shaz (1st). Martin’s semi-final against Mark and final against Shaz were two very-close matches on account of how well they all knew each other. 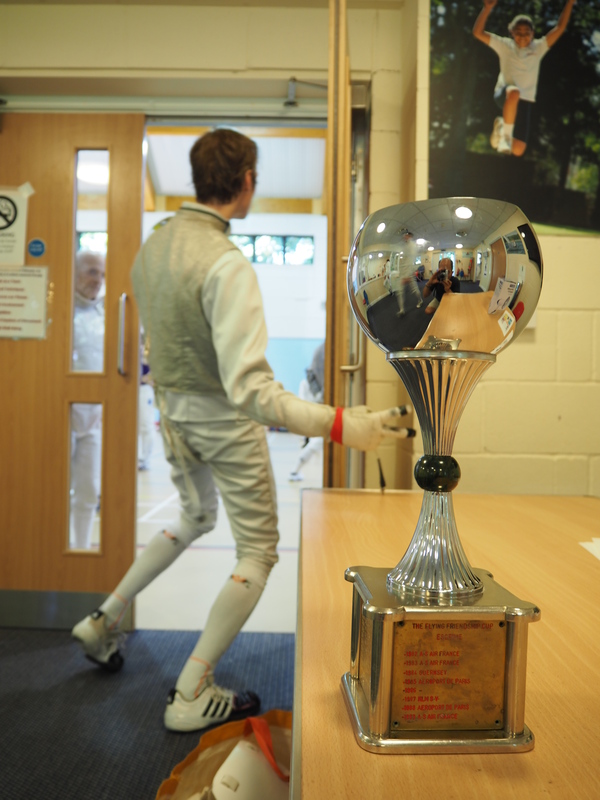 The Mens Epee was the largest event of the day, and Tim managed to finish 2nd following a close final. Cas and Tim met in the quarter-finals and fenced a close match that was even until 13-13 when Tim managed to pull ahead. Well done to Anne, Shaz, Martin, and Tim, who have qualified for the GB Cup finals in June. Well done to Eunmin, Tony, Caryl, Anne, Martin and Alasdair who were our valiant teams in the Town and Gown last weekend. It was a close match, but we were narrowly defeated by the university teams. The OFC team at Alice Ruggles Memorial Épée team competition. We didn’t win a prize but we didn’t get the wooden spoon either! Good day of fencing with support from Malcolm. On 17th June, we hosted the Flying Friendship Cup at Rye St. Antony. 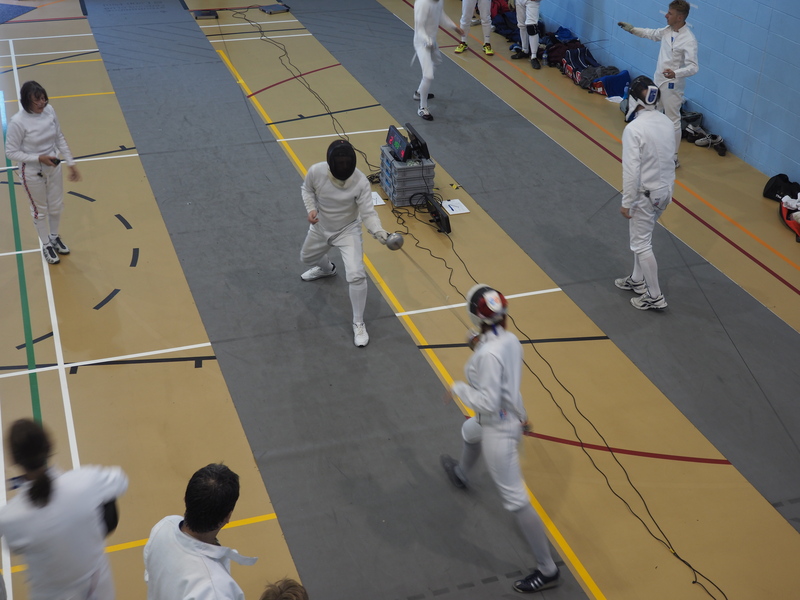 Salle Eton visited us on Tuesday 25th April for some friendly sparring against new opponents. They brought 7 fencers who fenced a mix of foil and épée. Rather than try to complete a teams match, we decided to maximise the number of fights we had against each other. 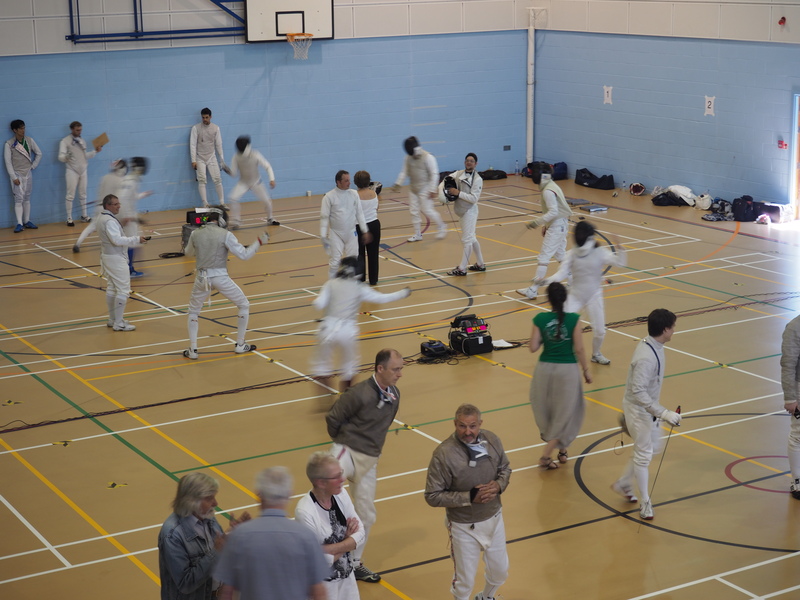 It was great to see the hall busy on a Tuesday night, and everyone who came along had a really good evening’s fencing.